A view from October 2013, a fairly unusual view. Usually the Barnacle Geese can be seen feeding on the fields at Gruinart or elsewhere during the day after they arrived on Islay. They mainly come to Loch Indaal in the evening for the overnight roost, especially at low tide staying on the mudflats. Speaking with a local birder he thought this was because it was a full Moon at the time and they were feeding over night. 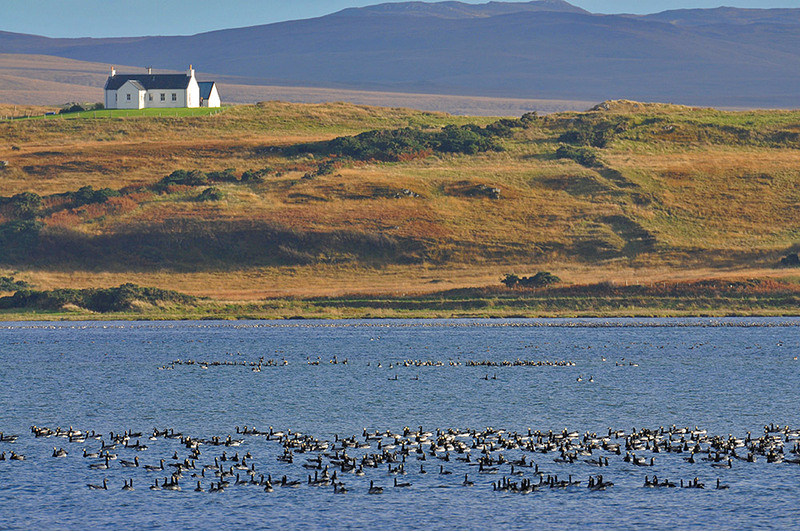 This entry was posted in Landscape, New Post, Sea Loch, Sunny Weather, Wildlife and tagged Barnacle Geese, Islay, Loch Indaal by Armin Grewe. Bookmark the permalink.